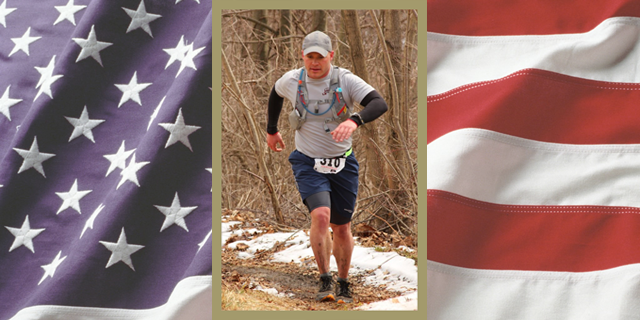 Newtown – Newtown resident Jason Brady, a dedicated trail and ultramarathon runner, is set to run the Peak 100 Mile Snowshoe Race in Pittsfield, VT from Feb. 28 to March 1 in an effort to raise funds for the Army Ranger Lead the Way Fund, a military charity. Since 2012, Brady, a former Army Ranger, has run five 100-mile ultramarathons and multiple 50-plus mile ultramarathons, raising over $6,000 for this charity. “I love to challenge myself, especially in trail and ultramarathon running,” says Brady, a dedicated husband and father of two. “As a former Army Ranger myself, my time in the 1st Ranger Battalion was extremely rewarding, most of all because of the individuals I served with. Army Ranger Lead The Way Fund, Inc. is a 501(c)3 non-profit organization established to raise funds in support of disabled U.S. Army Rangers and the families of Rangers who have died, have been injured or are currently serving in harm’s way around the world. Army Ranger Lead The Way Fund, Inc. will provide spouses and children of deceased, disabled or active duty Rangers with assistance for health and wellness programs and other services determined to be vital to the family’s well-being, beyond what the government can offer. To contribute, visit Brady’s fundraising page HERE. All donations are tax deductible to the fullest extent of the law and contributors will receive a letter acknowledging their donation from the Ranger Lead the Way Fund, Inc.